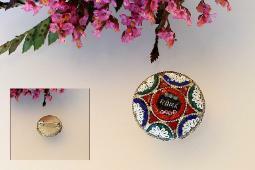 ROMA Signed Micro Mosaic Pin, Signed Made in Italy Mosaic. 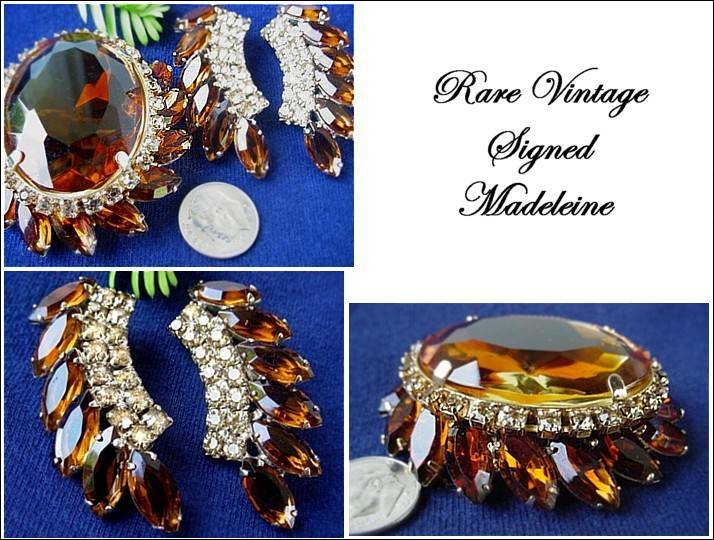 Signed Madeleine Brooch. 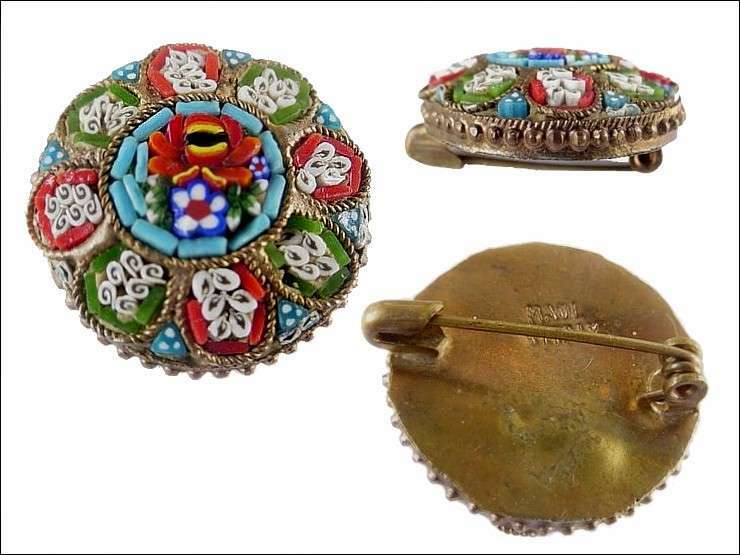 CIRCLE BROOCH PIN. 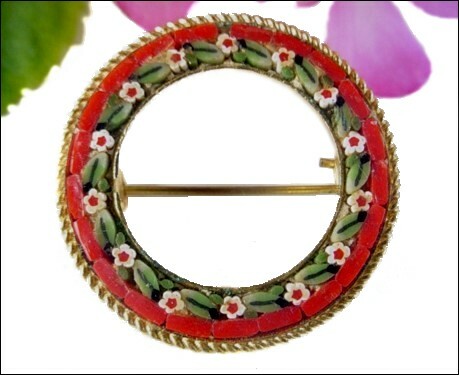 Beautiful red and green vintage Micro Mosaic. Great workmanship in beautiful colors. 50s-60s. Safety catch on the back. Measures 1 1/4" across. 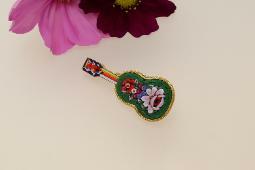 Very detailed micro mosaic guitar pin, not as old as the others I have pictured above. 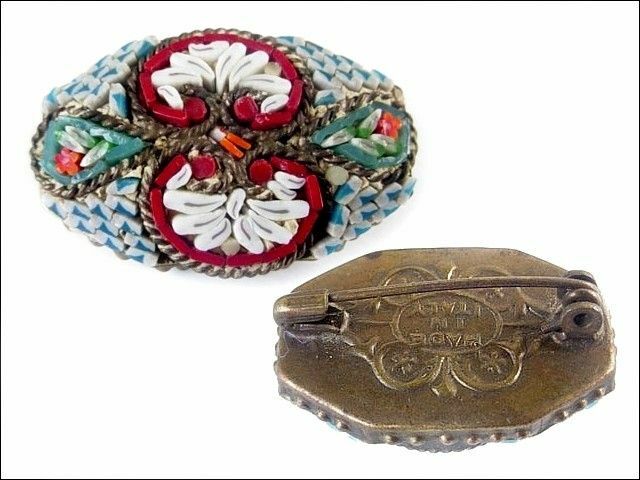 a c clasp on reverse. 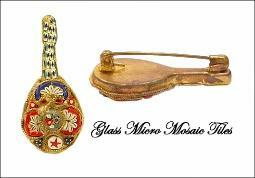 Micro mosaics designs are intricate, and very fine. mosaic pin broach from the Eternal City of Rome. Beautiful and striking coloration. The diameter is 1 inch. Safety pin type closure on back. 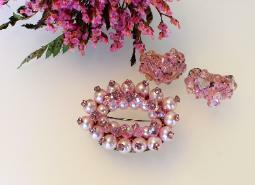 differing in sizes fitted together to form this timeless piece. Measures 1" x 3/4". 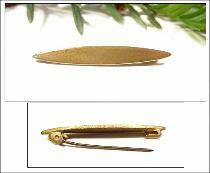 Safety pin type closure finishes the detailed back. Signed. Made In Italy. long. Mid to late 1800s. 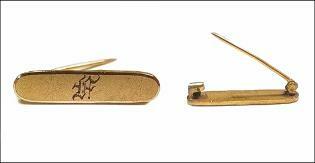 Monogrammed bar pin. Old style writing, unsure of the letters. 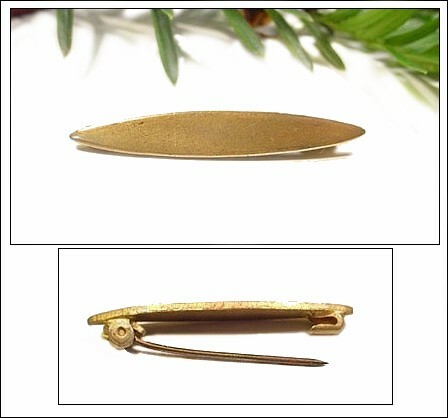 Bar pin measures 1" in length. circa 1880s-1910s. Measures 1" in diameter. 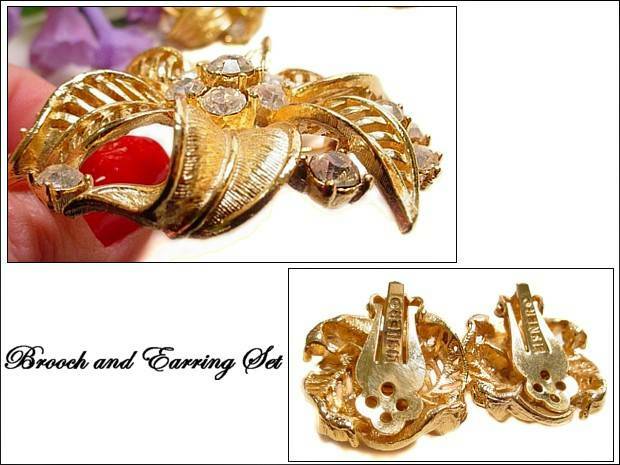 back earrings are 1" x 1". Very exquisite and heavy set. designed to run the outer border of the ear. 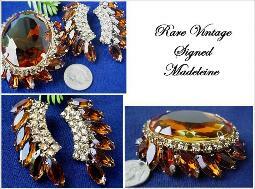 The earrings are a clip ons and both earrings are measures 2 1/4" long by 2"
MADELEINE. The earrings measure 2" long by 3/4" wide. matching earrings. Rare to find a signed jewelry! 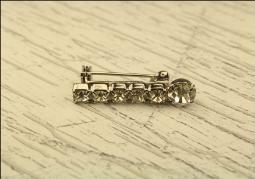 Excellent vintage crystal clear rhinestone bar pin. 50s-60s era. Sparkling clear rs line up the 1 1/8" bar pin, silvertone. Building a fine jewelry wardrobe piece by piece can be an amazing experience. Our choices can never under dress an outfit. 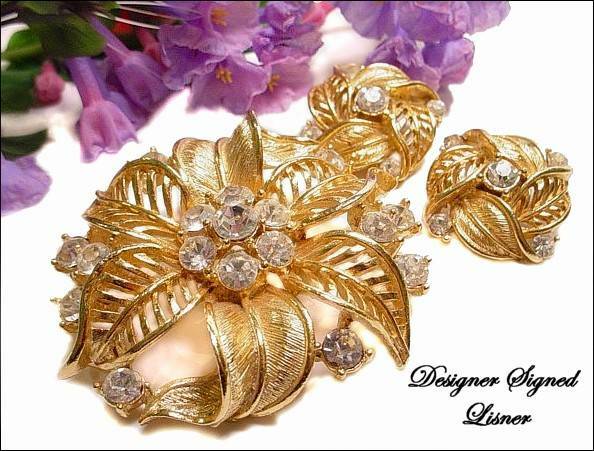 Take a peek at our Black Japanned Lisner jewelry brooch and earrings. stunning bar pins. Buy yourself a statement piece.